With a fresh dusting of autumn snow, the fourteen thousand foot peak of Mt. 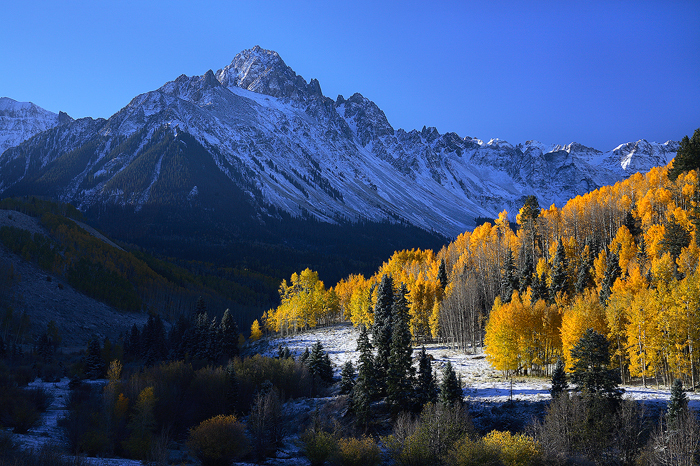 Sneffels serves as the backdrop for this beautiful scene. I waited for about an hour after sunrise for the light to work its way down the hillside, highlighting the grove of golden yellow aspen trees at their peak fall colors.